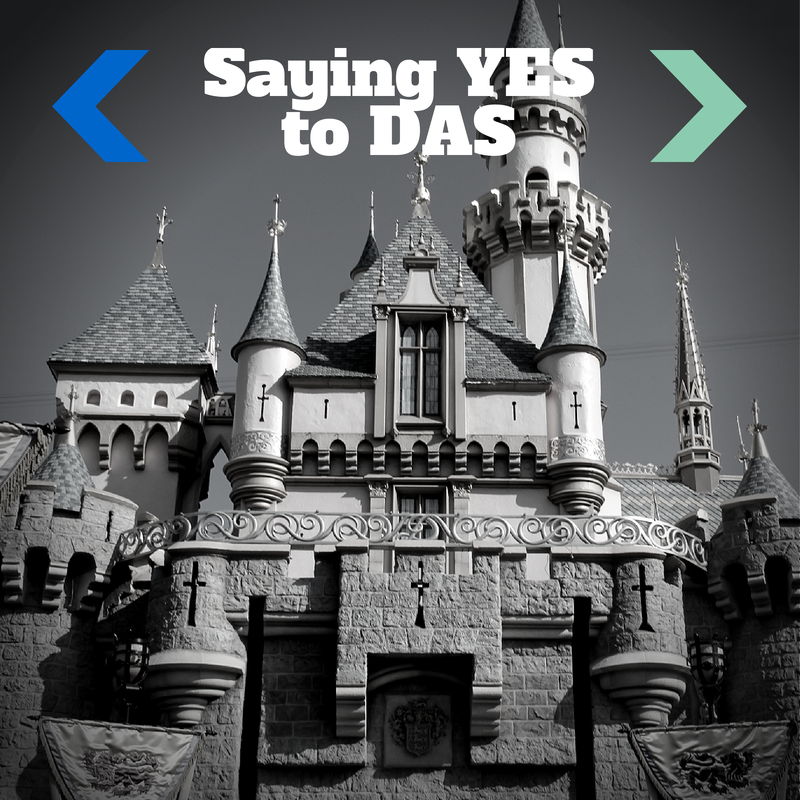 Saying YES to DAS | What's the Point? As a former Cast Member, I've said it a million times: if you need special assistance at Disney Parks, don't be afraid to ask for it. Go to Guest Relations, explain your symptoms or needs and enjoy your vacation. Disney will explain how they can help. Do you know what they say about doctors? They make the worst patients. I guess the same can be said for Cast Members - or former Cast Members in my case. 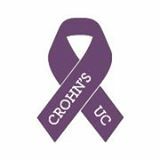 I've said it before on this blog and I'll gladly say it again: I live with a pretty severe case of ulcerative colitis, an inflammatory bowel disease. I was diagnosed in 2006. My symptoms include frequent diarrhea, regular pain, blood loss, weakness, etc. I take more pills than you can imagine and I go for regular infusion treatments. I do not talk about this a lot, but I'm getting better at that. As you can imagine, the symptoms aren't fun to talk about and are incredibly embarrassing. Like most inflammatory diseases, I have flare ups which exacerbate my symptoms. However when I'm in what I consider "remission" I still have symptoms. I'm still having bowel movements at least six times per day and I deal with severe urgency even when I'm well. Worse than the physical conditions are the psychological ones. Fear of not getting to a bathroom in time is a daily battle. 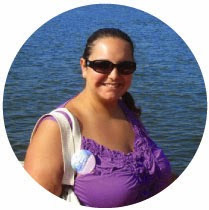 This past March during my trip to Disneyland I was in what I consider a state of remission. It was a somewhat stressful trip in that I did not know the locations of the restrooms like the back of my hand, like I do at Walt Disney World. In addition, I did not know how far I was from the front of an attraction or the length of new rides. I was both physically and emotionally struggling. Several times throughout the trip I left a line to use the bathroom. Most of the time my husband would wait in line for me and let other guests pass him while he waited for me. Other times, I had a difficult time getting back in line because the Disneyland lines are significantly more narrow. There was a lot of guilt associated with this pattern and I truly worked myself into a panic several times. On our last day at the Disneyland Hotel, we were sitting by the pool and I turned to my husband and said, "I think it's about time that I come to terms with my limitations. I think it's time for me to consider DAS." DAS is Disney Parks Disability Access Service. I am, by no means, looking to skirt lines or ask for special treatment. I would simply like to use my time waiting in line sitting near a restroom. My husband simply looked at me and said, "I've been waiting for you to come to that conclusion. I'm glad you've decided to help yourself." He's right. The next time I go to a Disney Park, I'm going to help myself have an enjoyable time, free of panic. 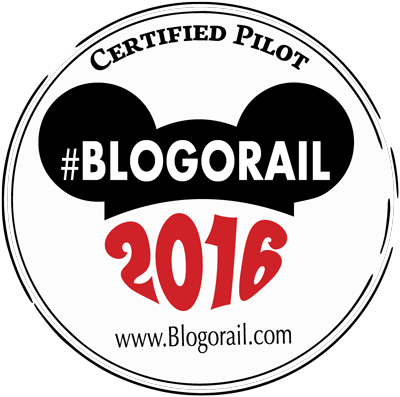 I'm going to ask the knowledgeable Disney Cast Members how I can take advantage of the services available. I'm glad you've come to that conclusion. I think the way it's set up now is probably perfect for your situation. I know I don't understand your situation exactly but I understand how these things are hard to talk about. I know you'll feel so much less stress! Thank you so much Melissa! From what I hear about DAS, I think it will work for me. It makes a lot of sense, but I'm a stubborn woman! Why is it always so hard for us to come to terms with our own limitations? I'm glad you've reconciled yourself to the fact that you might need a little extra "help" sometimes. I'll be anxious to hear how DAS works for you. Thanks for sharing your story Roseanne. Roe, thank you for sharing your post. Reading your account brings the tears back to my eyes. I touched on what I was doing that day on my post -- I was holding Sophie, feeding her, watching in disbelief, almost like it couldn't really be true. My wife's cousin worked at one of the WTC buildings -- she had something happen at home that morning so she decided to work from home, otherwise she would have been there. Thanks again for sharing. My prayers are for everyone affected by this horrific act of violence. Goosebumps, thank you for sharing. I cannot even fathom what that must have been like for you, Rosanne. To be THAT CLOSE. Wow! I remember I was at a meeting for Home & Garden Party. Brian called me to tell me. Surprisingly, I DID have a cell phone (believe it or not). Gracie was just a year old at a the time. The girls were with my mom and I was so worried and couldn't wait to get home to them.